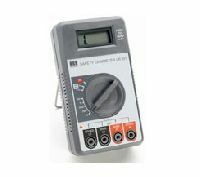 Safety ohmmeter is a precision instrument, which is extremely suitable for measurement of low value resistance.The instrument uses state of art technology for measurement of low values of resistances. 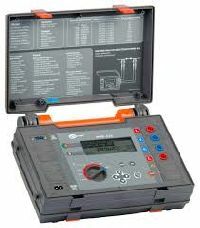 The measuring technique eliminates errors caused due to resistance in the connecting leads. 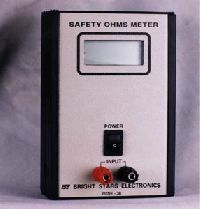 safety ohmmeter designs and manufactures intrinsically-safe, explosion-proof testers for EEDs, squibs, igniters, etc. 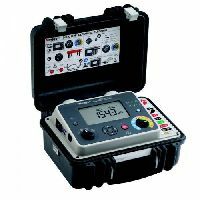 These testers are in use at major aerospace and defence labs through the country. This cleanroom workbench consists of ESD safe worktable with ESD table attachment integrated with handheld instrument like multimeters, insulation testers and safety ohm meter, soldering and desoldering station and power supply. Also consisting of ESD bin holders, power sockets, safety and switch units and fume extractor, 10x magnifying glass- bench mounting type.